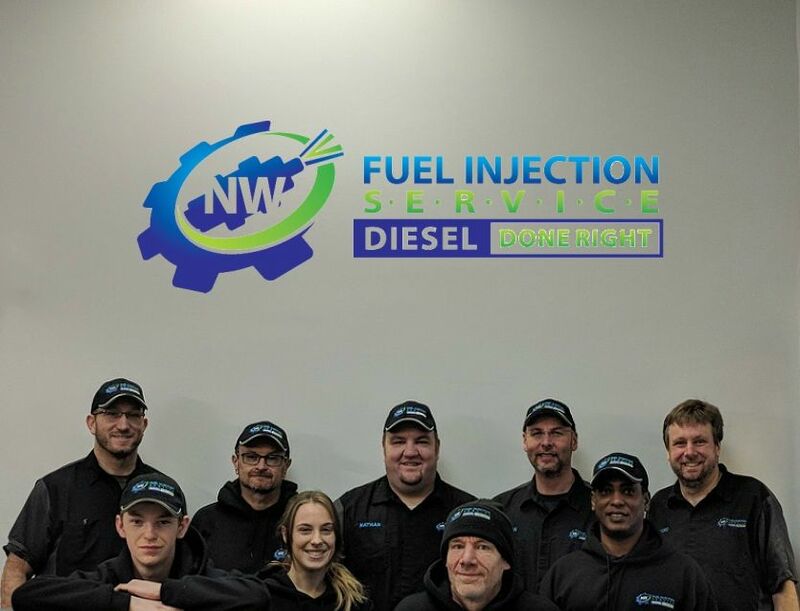 We’re not shy about trying new things at NW Fuel Injection Service. Although we remain true to the roots that brought us here, we constantly grow and evolve as well, learning new ways to excel in our industry and better serve our clients. We began as a small company in New Westminster in 1968, and have grown into a medium-sized business with 14 employees, servicing an array of customers from mechanics to specialty shops. But throughout all the evolutions of the last five decades, our number one priority remains unchanged: our clients and our relationships with our clients. We see diesel repair as a long-term, collaborative partnership. We aren’t interested in quick fixes. Instead, we value the relationships that are formed when we work together to solve the problems that arise throughout the lifespans of your engines and your customers’ engines. We consider it a lucky occurrence that we’ve been able to call many of our clients our friends—some have been with us since the beginning and some have only walked into our shop within the last year. But regardless of length of time, your success always becomes our success. Through our Bosch authorization, we provide a unique alternative to sending your damaged product back to the equipment manufacturer. Our certification means we have access to cutting-edge equipment, resources, and training, as well as, regular examinations by Bosch representatives, to keep our expertise up to date. When you bring your equipment to us, we’ll only service the parts or components of your product that need fixing and it will be done to factory specifications, regardless of the original equipment manufacturer (OEM) of that part—whether its Bosch or another company. Why buy an entirely new component, if you don’t need to? This means that by coming to us for your repair needs, you not only save money, but we can guarantee you will leave our shop with an optimal product. As experts in diesel engines and fuel injection technology, we are dedicated to making sure your needs are met and your expectations are exceeded.